Life is free, art is nice and the literature is lovely! What can be called as literature works? How to do literature creation? What is the key to the creation of famous writers? How to do correct literature reading? Literature going through the time tunnel can be the progress of literature or the ending of literature? Wang Wencheng, the literature professor in Shandong University and one of the members of Chinese Writers’ Association, has already published almost one hundred of literature works! 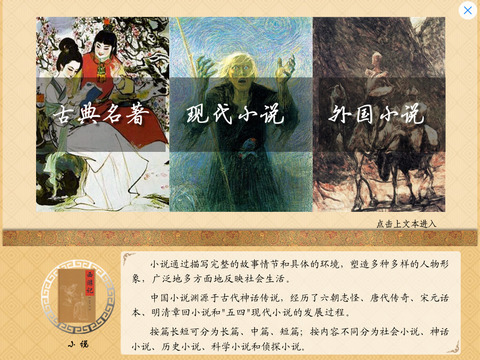 The literature works written by Professor Wang such as The Intermediary Theory of Literature Language, The Contemporary Situations and Problems of Literary Theory and Autumn Moon over the Calm Lake-Liang Shiqiu, have unique perspective and novel ideas. They are very innovative and have produced big influence in literary circles. “The Museum of Humanity · Volumes of Literature” is another masterpiece. The applied content can be divided into five parts to reveal the complexity and the implicitness of literature, to narrate the literary theory and literary historical facts in way of leading readers to understand and feel. It is full of pictures and illustrations. Thus it can inspire more rich and colorful literary experiences and aesthetic feeling can make readers feel the connotation and charm of literature while readers can obtain knowledge. The vivid literary anecdotes, the abundant literature knowledge, the witty and interesting titles and structural forms, colorful paper and exquisite pictures are all melted together to make you feel excited but not bored and dull when you read literature works! 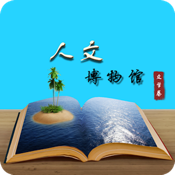 In the app, many Chinese and foreign masterworks and essays in ancient or modern times can inspire us, move us and influence our lives and life. From them, we not only can appreciate the beauty of literature, but also can comprehend the beauty of humanity and life. Literature is humanism. Literature is life. The beauty brought by classical literature is the essence that has gone through the test of history. I really like one sentence in application: the material demand is limited, but the spiritual demand is infinite; and only the sufficient spirit can be called as the true enrichment in life. It is well worth reading and learning! The art form can be ever-changing, the same as literature. The content of application is so invigorative and each chapter as well as each passage can be full of philosophy. They can give me endless imagination. Maybe this is like a flood flow, touching my soul and subliming my mind. “Cool reading” is our principle. We are devoted to providing readers with better and newer 4D reading materials! PS: You can retrieve all AppCarrier products by entering “xxt” in the search box.